While Chancellor wrote Sunday he won't play football again, any official move taking him off the roster may not happen anytime soon. 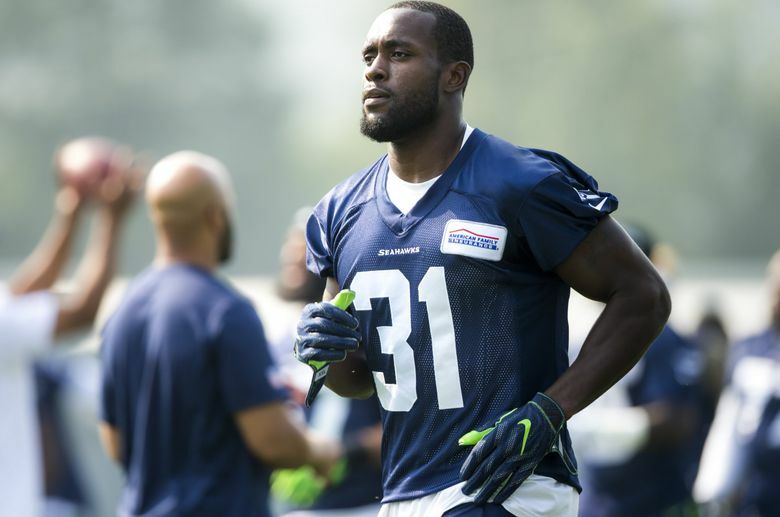 Seahawks strong safety Kam Chancellor took to social media Sunday to say he doesn’t envision playing football again. But a day later there was no official move from the team or Chancellor, and it is unlikely there will be anytime soon. To make it clear — neither Chancellor nor the team thinks he will play again because of a neck injury suffered in November at Arizona. But for now, Chancellor also won’t retire due to the structure of his contract — if he retires he would give up injury guarantees for the 2018 and 2019 seasons of $6.8 million and $5.2 million (in fact, the $6.8 million was guaranteed in February). In Chancellor’s statement Sunday he noted that a recent test of his neck showed no improvement and that he would risk paralysis if he continues to play. Before training camp, which begins July 26, Chancellor will be given a physical by the team. Assuming Chancellor is not cleared to play, the team could put him on the Physically Unable to Perform list. He would continue to be carried on the 90-man roster but would not have to be accounted for on the regular season 53-man roster. A settlement also could be reached at any point. But Chancellor is not expected to walk away from the money he is owed as part of a three-year, $36 million extension he signed during training camp last season. As former NFL agent Joel Corry, who writes about salary-cap issues for CBSSports.com, wrote last fall, the nature of Chancellor’s contract ties the Seahawks’ hands in other ways. They can’t release Chancellor now without taking a huge cap hit in 2018. As Corry also said, Seattle’s best move was to hang on to Chancellor and hope at some point he might pass a physical and then the Seahawks would at least not have to pay him the $5.2 million in injury guarantees for 2019. The Seahawks don’t have a lot of financial flexibility for this year, currently listed as having $10.5 million in cap space for 2018, though they could open some up with moves involving players on the current roster, notably extending left tackle Duane Brown, who has a $9.75 million cap hit for 2018. The Seahawks, though, are among the most cap-rich teams in 2019, currently listed as having more than $54 million available, third among NFL teams. So Seattle might be fine with waiting it out with Chancellor. It’s not thought that Chancellor’s announcement Sunday changed anything in terms of the team’s thinking, because the team has been operating for months under the assumption that he won’t play again. That includes how the team has handled the situation with free safety Earl Thomas, who held out during minicamp in hopes of getting a new contract and has said he won’t take part in any team activities until he has a new deal. No negotiations are believed to be taking place, the sides could be headed for a stalemate when training camp begins. If anything, the fact that Chancellor again received news that he won’t be cleared to play may only further harden the team’s stance when it comes to Thomas. Assuming Chancellor doesn’t play again, he wouldn’t play any of the three years of his extension, same as happened with Michael Bennett, who was traded to the Eagles after signing an extension in December 2016 that also took him through the 2020 season. Each of those deals has been cited as reasons to be more wary when considering a long-term deal for Thomas that wouldn’t begin until he turns 30. The team already has undergone a significant makeover in the past few months, with just seven players remaining on the roster who were part of the team that beat Denver in the Super Bowl in January 2014. Chancellor likewise has appeared to be preparing for a non-football life, having not been around the team during its offseason program and looking to have lost a little weight based on recent social-media pictures. “Time for the next chapter,’’ Chancellor wrote near the end of his Twitter statement Sunday. But if that spelled the end of his playing days, it appears it will still take a while before Chancellor is officially no longer a Seahawk.